WWE Elimination Chamber is in the books, and it was deemed a largely successful PPV. Bayley and Banks won the first ever Women's Tag Team Championships in a blinder of a match, logic prevailed over the glorification of Shane McMahon, as The Usos won the SD Tag Team Championship, and Daniel Bryan retained his WWE World Heavyweight Championship in the main event. Speaking of the main event, Kofi Kingston put in ANOTHER outstanding effort. What was also a subtle development was AJ Styles getting pinned by Orton after being hit by an RKO. This is the third time Orton has pinned AJ since the Phenomenal One's SD Live debut. There have been rumors abuzz about a potential Styles vs Orton clash down the line. 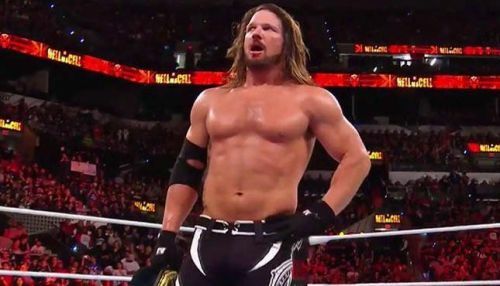 Here are 4 reasons why the dream match must happen at WrestleMania 35. If you noticed, the phrase 'dream match' has been mentioned thrice already. Well, that's because it is what it is. Styles vs Orton is a rivalry with a dynamic similar to that of Styles vs Cena. Given the mind-blowing quality of that programme, this will surely blow the roof off of any place. Randy Orton is a bonafide WWE megastar. He was a blue-chip prospect and has been consistently protected throughout his career. He has consistently been involved at the top or the upper-mid card in the WWE. Styles, on the other hand, has reached the WWE the hard way. Toiling away in bingo halls, and finally hitting his stride in NJPW and TNA, Styles had to become the best wrestler in the world to get noticed by the WWE. A complete antithesis of each other, Styles and Orton could play well off of each other, and the clash of styles would be interesting to watch.